A TAIL AS STRONG AS STEEL! The West Highland Terrier is one of the happiest dogs alive! The tail ceases to stop and if there ever was a dog that lives life to the fullest, it’s the West Highland Terrier! They were used as ratters in Europe. Many times they would get stuck in a hole so they were bred for a super strong tail that allows the dogs body to be pulled out just by the tail! This does not hurt the animal. The breed is a fabulous family dog and great with kids. It has an adventuresome spirit and can run off if not kept on a leash. THE WEST HIGHLAND TERRIER THINKS IT IS MUCH BIGGER THAN IT IS! Also affectionately called the “Westie”, this breed dreams that it is the size of a Rottweiler and will challenge dogs much larger than itself. That can get the breed into trouble. On medical records whenever a veterinarian see the letters: BDLD it is never good news. That stands for Big Dog Little Dog encounters where the small dog usually loses and requires surgical and medical repair. The West Highland Terrier is a small but solid dog and does well in a city, suburban or farm environment. One of the great traits of the terrier group is that they are highly adaptable to just about anywhere. 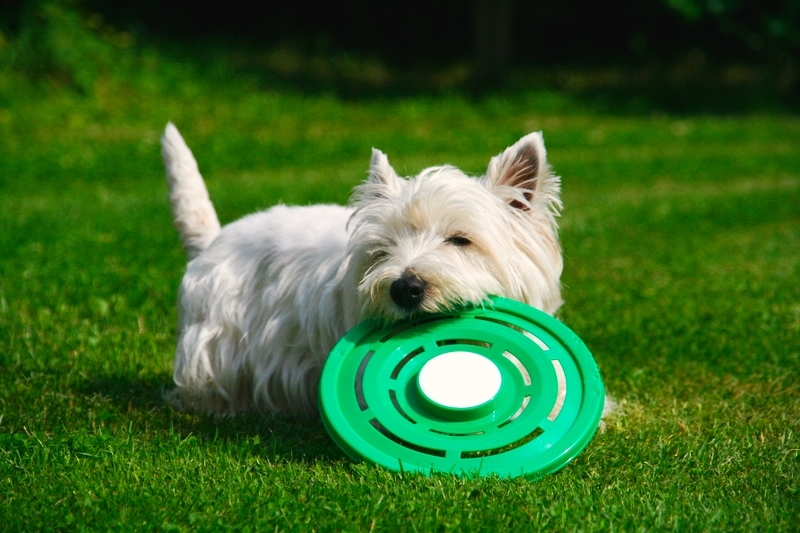 The West Highland Terrier also likes to bark a lot and serve as a great little guard dog. West Highland Terrier dogs have a thick double coat making them highly adaptable to temperate and cold climates. That thick coat though needs to be brushed daily or as many times as possible. Due to their sometimes stubborn nature, they can be difficult to train. Most terriers are that way! The breed has many skin issues and are highly sensitive to flea bites. Many of them, as they age, will develop a dark pigmented skin usually indicative of a chronic skin disease or thyroid deficiency. They can easily live to 14-15 years with good medical care. The West Highland Terrier is extremely popular in the U.S. A lot of fun packed into a small spunky body!! It is not a lap dog but a wonderful, loyal companion. Learn more about the West Highland Terrier at Animal Planet’s® Dog Breed Selector.